A Nigerian man, Olisa Osega is pushing for the narrative to be changed in relationships, adding for ladies to be financially stable before considering dating. 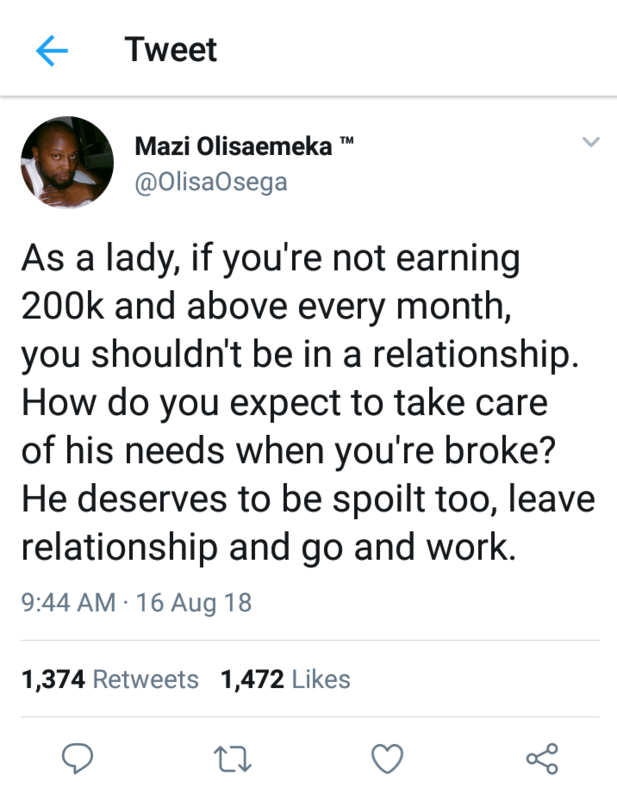 According to him, any lady that is not earning above 200,000 monthly should forget about being in a relationship because a man deserves to be spoilt too. As a lady, if you’re not earning 200k and above every month, you shouldn’t be in a relationship. How do you expect to take care of his needs when you’re broke? He deserves to be spoilt too, leave relationship and go and work.